Using our methods we can deduce that for 22nd February 2017, the following quakeweather and the following regions appear to be vulnerable to siesmic activity. Our experience shows that the time event tolerance can be +-1 day, and therefore it is worth keeping the list for 2 days as an event in the list could sometimes materialise the next day and sometimes the late hours of the previous day. 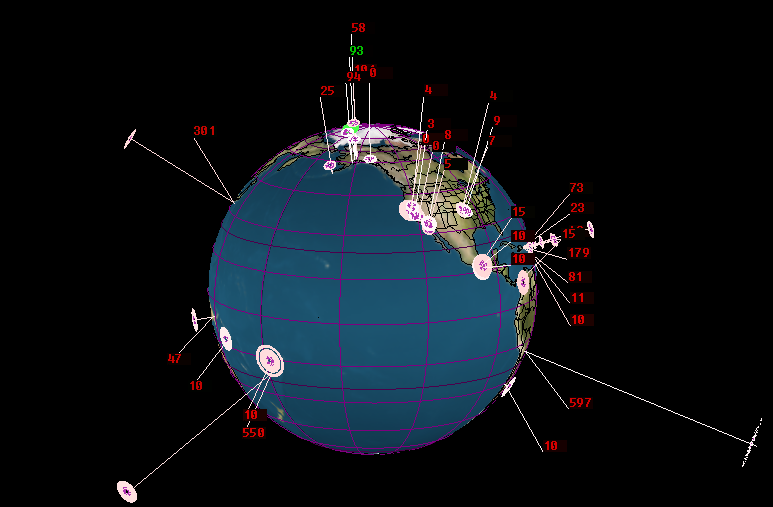 February 22nd is a day where we expect to fair earthquake activity, similar to 21st February but probably less severe. I expct slightly less activity. After all we have had a 6.5R event in 21st February, and we dont get them every day. Notable Geocentric Aspects are Mars Square Pluto and Venus semisextile Neptune. Why no daily updates on this website? Sometimes we get ill, unwell, rundown, Murphy's law.? ?